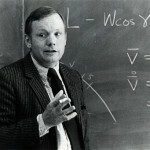 UC Libraries is steadily building a diverse archive of digital content with critically received collections covering Neil Armstrong’s life and UC career, the fabled Cincinnati Subway project, the remarkable Albert B. Sabin, unique recorded Elliston poetry readings as far back as 1954, Cincinnati medical oral histories and much more. The strength of the Archives and Rare Books Library in Cincinnati history and genealogy is now reflected in our online archives, which include the Cincinnati Birth and Death Records (1865-1912), the Cincinnati House of Refuge (1850-1902) and the recently added Hamilton County Morgue Records (1887-1930). Please visit the Digital Collections site and re-visit often! The Neil A. Armstrong Commemorative Archive contains images, documents and texts, primarily from the University Archives, relating to the teaching career of Neil Armstrong at the University of Cincinnati (1971-1979) following his retirement from NASA. Also included are selected significant artifacts and documents from Armstrong’s life beyond the University of Cincinnati. The Cincinnati Subway and Street Improvements collection photo-documents the ill-fated attempt by the city’s Rapid Transit Commission to construct a subway through Cincinnati. The collection also provides a glimpse at interior views of homes and businesses damaged during the construction, and follows the growth of the city through various street improvement projects that took place between the 1920s and 1950s. Dr. Albert B. Sabin, developer of the oral poliovirus vaccine, spent the majority of his career at the University of Cincinnati, College of Medicine and the Children’s Hospital Research Foundation. 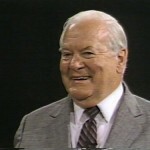 His vaccine helped to virtually eliminate polio around the world. The Albert B. Sabin Archives contain correspondence and photographs from the Henry R. Winkler Center, Hauck Center for the Albert B. Sabin Archives. 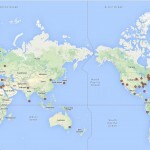 You can approach the collection from a map showing Dr. Sabin’s international correspondence, with links that connect to the letters written to and from each location. 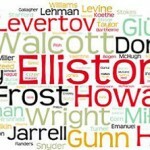 The Elliston Project holds over 700 recorded readings and lectures given under the auspices of the University of Cincinnati’s Department of English and Comparative Literature and UC Libraries since 1951. Material includes readings and lectures on poetry by those who have served as George Elliston Poet in Residence, among whom are Robert Frost, Denise Levertov, Louise Glück, Thom Gunn and C.D. Wright. The Henry R. Winkler Center has been recording oral histories with physicians, nurses and other medical professionals for nearly 40 years. These important video recordings offer a glimpse into the history of health professions in Cincinnati and recount important medical discoveries that took place here. 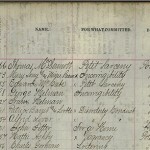 The Cincinnati Birth and Death Records (1865-1912) consists of over 500,000 records, originally owned by the City of Cincinnati, now housed in the Archives and Rare Books Library. 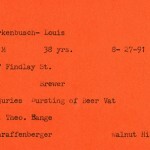 The records, consisting of index cards, were created by the Cincinnati Health Department several decades ago and are considered the official and legal records of births and deaths for this time period. The cards contain the official records of births and deaths for Cincinnati citizens from the beginning dates as noted through 1908, with additional records through 1912. The Cincinnati House of Refuge was founded in 1850 as a shelter for juvenile delinquents. Its main purpose was to remove the children from their “corrupting environment” and teach them the “habits of industry & obedience to the law.” The records of the Cincinnati House of Refuge consist of five volumes and includes the Record of Commitments, an index, financial records and payroll records. The Record of Commitments includes the names of individuals committed to the House of Refuge, their “Parentage” (often either nationality, ethnicity or race), a description of their offenses or the reason for admittance, information on their parents and their age. 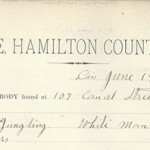 The Hamilton County Morgue Records (1887-1930), acquired by the Archives & Rare Books Library in 1973, document the deceased individuals of Hamilton County. Details in the morgue records include the date, time and location the body was found, personal information on the deceased, probable cause of death and removal of the body, and sometimes effects found on the body. These records aid in revealing trends in economic depressions, workplace conditions, locations of accidents, transient patterns, crime patterns and infant survival rates. We hope you are inspired to explore and use these online collections. We encourage feedback at ucdp@uc.edu.